Remember those reports in Spain linking Philippe Coutinho to Paris Saint-Germain as a means of pressuring Barcelona into sealing a deal? The latest Nabil Fekir rumour has a similar feel to it. Lyon’s captain has supposedly received an offer from Manchester United following the collapse of his summer move to Liverpool. Fekir came extremely close to completing an Anfield switch at the beginning of June when personal terms and a £53million fee were agreed. Concerns on Liverpool’s part over a knee issue highlighted in his medical resulted in negotiations breaking down, as revealed in an official statement on Lyon’s club website. The Frenchman’s agent has since fuelled a pervasive belief that a deal could still be revived after the World Cup, although it has also surfaced that both Real Madrid and Manchester United may now be interested. United have made an offer to Fekir, but are not believed to be in talks with Lyon, according to French paper Le Progrès. Lyon president Jean-Michel Aulas has been notably provocative about the chances of Liverpool reigning their pursuit of the playmaker. 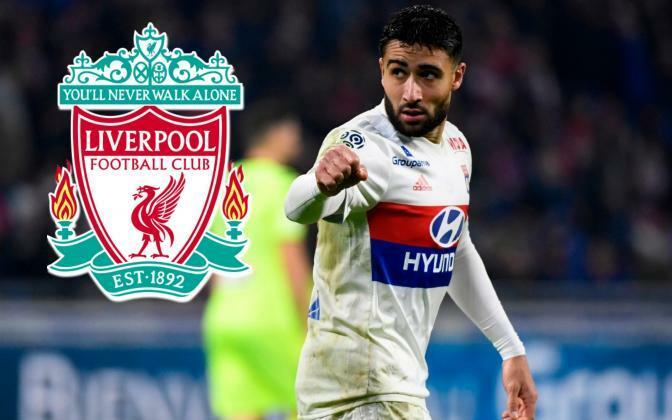 Fekir went as far as conducting interviews with LFCTV ahead of his expected unveiling prior to the late twist to the deal, meaning his heart likely remains set on a move to Merseyside. The 24-year-old’s price-tag won’t have altered significantly if Liverpool do choose to re-enter talks given his lack of game time with France at the World Cup so far. It promises to come down to Liverpool’s final assessment of the underlying knee problem that worried the club’s medical team first time round. To approach the deal with such caution is only logical when considering the physical demands of not only English football but also Jurgen Klopp’s intense style of football.